Welcome at the GRK1957 "Adipocyte-Brain Crosstalk"
Our DFG funded Graduiertenkolleg 1957 offers focused research projects and a structured training programme. In an interdisciplinary research approach we address the effects of hormones derived from adipose tissue (adipokines) on CNS function and, in turn, the control of adipose tissue and body weight by the brain. Adipocytes secrete bioactive factors that act in an autocrine, paracrine, or endocrine manner similar to the cytokine peptides of the immune system, thus termed adipokines. Since the discovery of the first adipokine, leptin, a growing number of such fat cell-derived peptide hormones has been described including adiponectin, nesfatin-1, or visfatin; but also inflammatory cytokines and steroid hormones. At the Lübeck campus a unique and historically grown focus on adipokine research exists with a strong integration of basic and clinical research. 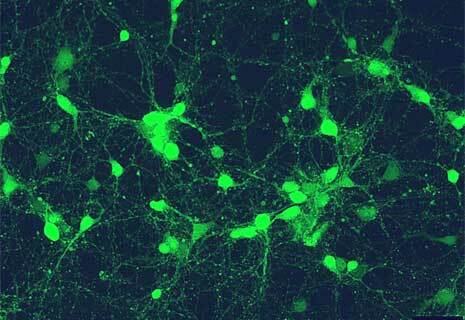 Adipokines signal the adipose state to appetite-regulating centres of the brain. In the hypothalamus, leptin inhibits appetite-promoting neurons in the arcuate nucleus and promotes energy expenditure via stimulation of sympathetic nerve activity to adipose tissues. Such feedback mechanisms also exist for other adipokines. The complex autoregulatory feedback system between central and adipose tissues is essentially involved in adjusting setpoints of energy homeostasis. 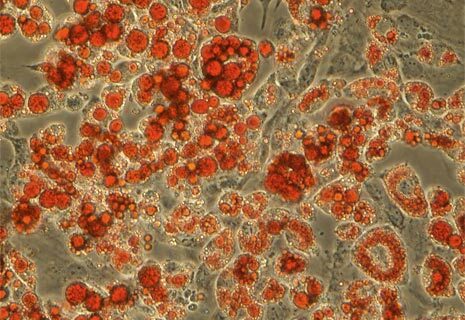 This adipocyte-brain crosstalk (ABC) lies at the heart of our DFG research training group GRK 1957. The Research Training Group 1957 deals with the interactions between adipose tissue and the brain. On March 14 and 15, 2019, PhD students of the 1957 Research Training Group of the University of Lübeck invited guests to an international symposium at the Media Docks Lübeck. The symposium, which was very well attended by over 100 participants from several European countries. This symposium was held for the second time this year, which was organised completely independently by the doctoral students. Together with national and international experts, the young researchers discussed the latest findings on the communication between adipose tissue and the brain as an important body axis of metabolic regulation. There were lectures on the effect of the circadian clock on metabolism, the importance of brown adipose tissue and the blood-brain barrier. Invited keynote speakers were Prof. Thorkild Sørensen (Copenhagen), Prof. Andries Kalsbeek (Amsterdam), Dr. Cristina García Cáceres (Munich), Dr. Karolina Skibicka (Gothenburg) and Prof. Camilla Schéele (Copenhagen). 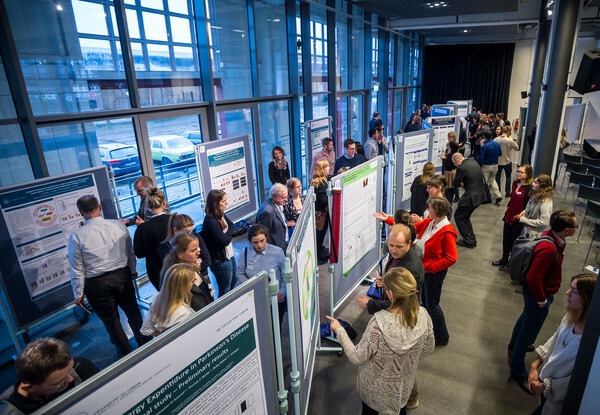 The program included furthermore talks and poster presentations of the young scientists. Afterwards there was an informal get-together where the topics could be discussed in more detail. The poster prize of the symposium, sponsored by the European Society of Endocrinology, went to Francesca Raffaelli and Elvira Sandin from Lübeck. The 2nd Adipocyte Brain Crosstalk Symposium was supported not only by the German Research Foundation but also by a Small Meeting Grant from the European Society of Endocrinology and other industry sponsors. Research Training Groups are funded by the German Research Foundation (DFG). The PhD students are part of a group of young and senior scientists who are conducting joint research in a particular field. The frequently interdisciplinary topic of a Research Training Group matches the profile of the respective university. Research Training Groups offer the opportunity to gain outstanding further professional and interdisciplinary qualifications, to acquire additional key competences for a future career, to establish valuable contacts and to complete a doctorate quickly. will take place on 20-21 June 2019 in CBBM, Ground Floor, Seminar Room B1/B2. will take place on July 10 to July 11, 2019 in Elsa Brändström Haus in Hamburg. will take place on 24-25 July 2019 in CBBM, Ground Floor, Seminar Room B1/B2.